Listen to Maine Calling's discussion on Barbara Bush. 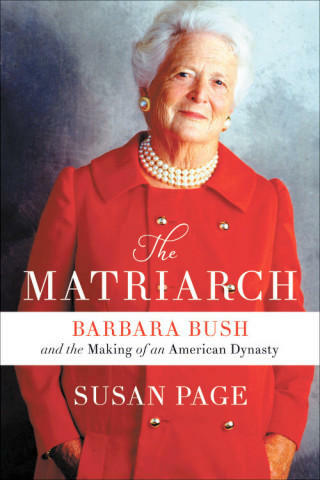 "The Matriarch,” published on April 2, tells the story of Barbara Bush, a woman who helped define two American presidencies and an entire political era. This biography is informed by more than 100 interviews with Bush friends and family members, hours of conversation with Mrs. Bush herself in the final six months of her life, and access to her diaries that spanned decades. Susan Page is the Washington Bureau chief of USA Today, where she writes about politics and the White House. Susan has covered six White House administrations and 10 presidential elections. She has interviewed the past nine presidents from Richard Nixon through Donald Trump, and reported from six continents and dozens of foreign countries. (She interviewed Nixon, Gerald Ford and Jimmy Carter after they had left the White House.) She has appeared as an analyst on the PBS NewsHour, CBS’ Face the Nation, Fox News Sunday, NBC’s Meet the Press, CNN’s State of the Union, CBS This Morning, Maine Calling and other TV and radio programs.